The 2017-18 practice season is well under way with both the Northwest and Longsword sides practicing hard every Tuesday evening in preparation for the 2018 dance season. 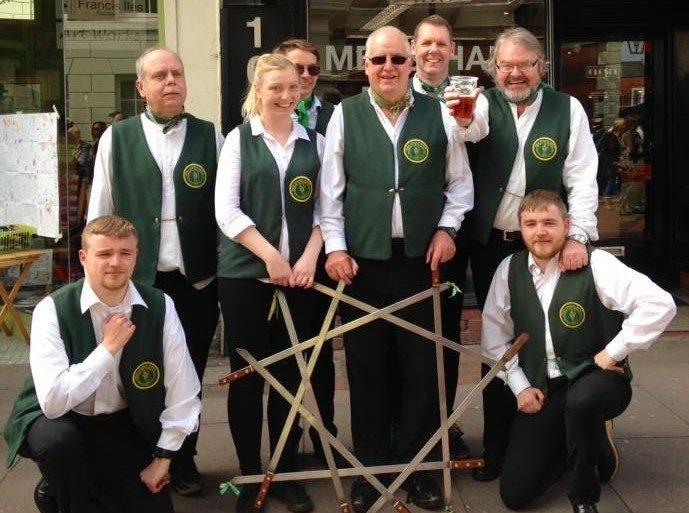 Looking for new members for both the Northwest and Longsword sides, anyone welcome to come give it ok, whether an experienced dancer, a musician, or just want to give it a try, so please get in touch for details. We will be dancing and having a music session on Boxing Day at The Fenn Bell Inn, Hoo, ME3 8RF. Everyone welcome, always a fantastic day.